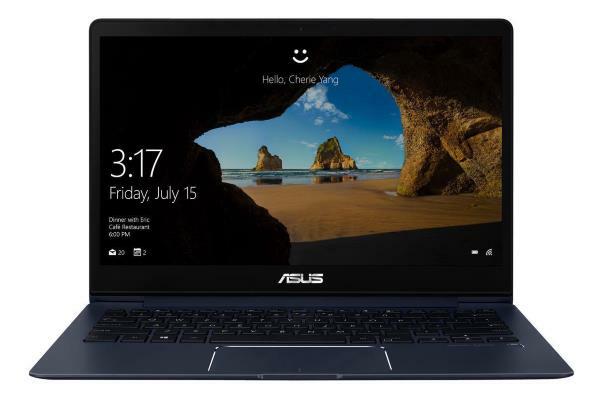 Asus has been recently pushing new products in the mid-range laptops segment and the Asus ZenBook UX331 is the result of that aggressive strategy. Not only does it look premium with a solid build, but the performance is excellent and the price tag is affordable. By affordable I don’t mean it is cheap, but it certainly offers great value for money. If you are looking for an ultra-light quality notebook, continue reading this Asus Zenbook UX331 review. The Asus ZenBook 13 UX331 is definitely among my favorite laptops on the market right now. If you are looking for a mid-range 13-inch laptop, this could possibly be your best choice. Asus made the UX331 appealing with its lightweight shiny chassis that stands out from the crowd. It’s equipped to run any Windows applications smoothly and the battery can last you more than a day. Pretty much the only downside I found is the webcam that is not impressive, but that’s it! Get the UX331UA if you need a lot of processing power, otherwise I recommend you choose the UX331UN since it’s a more versatile option. Note that I make both the Asus UX331UA Review and Asus UX331UN review here. Both are very similar. The ‘UN’ version comes with a GPU for anything 3D, and the ‘UA’ version does not, but includes a more powerful processor. I’ll talk more about both variants later, but if you’re not sure which one to choose, I’d go with the ‘UN’ version. For the design alone, Asus gets close to a perfect score. They really have nailed the design with its perfect shade of blue with marble-like finish. Not only is it solid & elegant, it’s also an ultralight 13-inch. 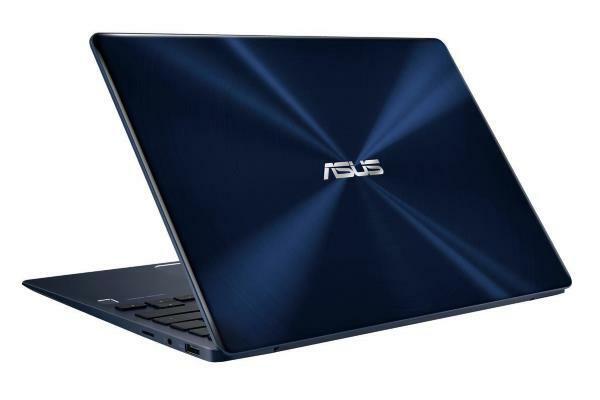 The Asus ZenBook 13 UX331 weighs around 2.47 pounds which is lighter than its closest competitor the Dell XPS 13. As you open the lid, the brushed aluminum chassis gives it a premium feel. The laptop feels sturdy in hand and shows little to no flexes during use. 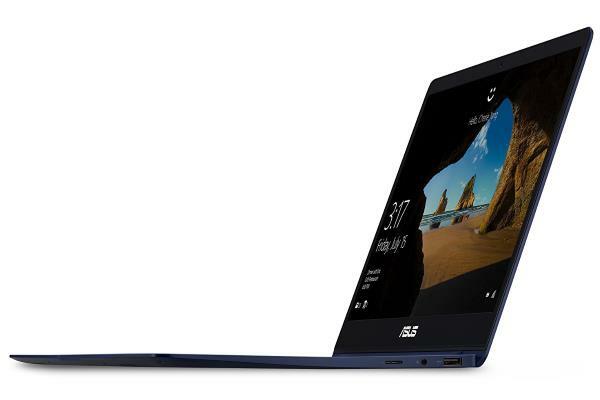 The Asus ZenBook UX331 gets Asus’ Nano-edge treatment which means the laptop gets very thin bezels, increasing the screen-to-body ratio. And the webcam has been placed on top, thankfully. 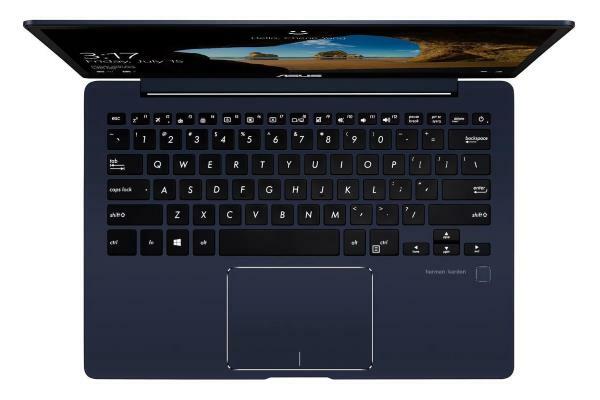 The ZenBook 13 UX331UN is powered by an Intel i5 processor, while the ZenBook 13 UX331UA is equipped with an Intel i7. Both configurations are more than enough to handle day-to-day tasks, but of course the i7 will be more powerful (but you don’t get a dedicated GPU on that version). Both are paired with 8 GB of RAM which is more than adequate for keeping all your web browser’s tabs in memory and to run multiple applications simultaneously without sacrificing on performance. You can have as many as 20+ tabs opened on Chrome with YouTube video streaming and you still won’t face any problem whatsoever. The Zenbook UX331 is equipped with a 13.3" screen. It is an excellent display with great viewing angles, brightness and color rendering. I found during this Asus Zenbook UX331 review that the display gets a high score in the test, even if on paper, it is not better than other similar devices in this segment. The screen is great for multimedia tasks and, of course, for your day to day work. As I said earlier, there are two variants of the Asus ZenBook 13 UX331, the ‘UA’ and ‘UN’. The biggest difference is that the ‘UA’ comes with an integrated graphics card, while the ‘UN’ comes with a dedicated NVIDIA GeForce MX 150 GPU. So, if you are looking for light gaming sessions or any 3D related work, you are better off buying the ‘UN’ version. The laptop we tested during our Asus ZenBook 13 UX331 review came with 256 GB of SSD storage out of the box. The SSD did feel a little slower than the industry average, but honestly, most people won’t see the difference, especially if you’re used to an older HDD hard-drive. The Asus ZenBook 13 UX331 comes with a decent selection of ports. Asus has managed to include the latest USB Type-C port with other ports like USB 3.0, an HDMI connection and of course, the 3.5 mm audio jack. Add a fingerprint reader to that and it’s not bad for an ultra-thin laptop! The ZenBook 13 UX331 comes with an excellent battery life. The manufacturer says it can last up to 14 hours, but expect more around 9 hours on a single charge. We tested the battery life through continuous web browsing over WiFi with full brightness. The UX331 can easily last a day’s of work. The most surprising aspect of the Asus ZenBook UX331 is its audio. The audio output on the laptop is excellent for the size and for the price. The vocals are loud & clear and watching a movie without your headphones is not a problem. Despite having a 1 millimeter of key travel, the keyboard still has a decent feel. I found out during this Asus UX331UN Review that typing continuously for 2 hours wasn’t an issue. I managed to get around 95 words per minute with just around 4% of error rate. Yes, if the keys had little more depth, it would be a better typing experience, but overall it was satisfactory. The trackpad, on the other hand, is as good as it can get. Windows precision drivers offer precise movement of the cursor, and the touchpad offers good feedback. 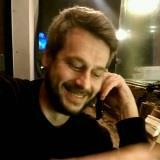 The gestures also worked reasonably well. The Asus ZenBook 13 UX331UA / UX331UN comes with Windows 10 installed out of the box. Some Asus tools are pre-built which is practical, including the free McAfee Security antivirus. Other apps such as Netflix, Disney magic and some other apps & games are pre-installed as well.